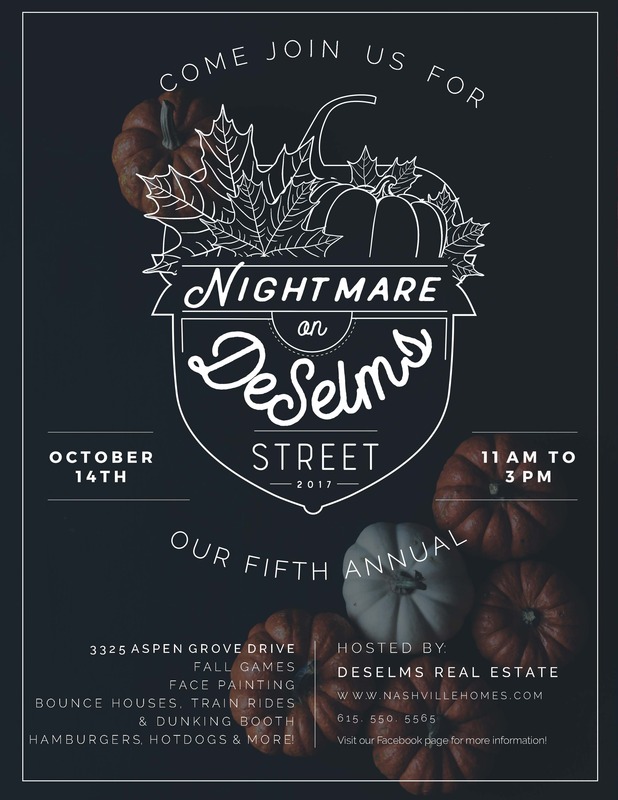 We are hard at work preparing for our Fifth Annual event, Nightmare on DeSelms Street. Each year we host this fall festival to show the community our appreciation for all the support that you guys show us. If you are looking for something fun to do for fall with the whole family, this is definitely an event you will want to check out. Here are some more details about the event, a little FAQ, and some information about our sponsors! What: Fall Games, Photo Booth, Train Rides, Dunking Booth, Bounce House, Adrenalin Slide, Coffee Bar, Grand Prizes, Hamburgers, Hotdogs, and so much more! Who is invited to attend this event? This event is open to the public! So bring your family and friends to enjoy this event with you. What are the ages for the event? All ages are welcome! There will be games for children and then a coffee bar for the adults, so bring the whole family. Do I need to RSVP? No, but it is always helpful if you would! Here is the link to the event on Facebook where you can let us know you are attending and get tickets through Eventbrite.